Fire Emblem Fates is a game for Nintendo 3DS family systems, due for a European release in 2016. All features and terms mentioned herein are not final, and subject to change. Details on how the three storylines will be made available in Europe will be announced later in 2015. Today I wanted to talk to all of you who were involved in the development of Fire Emblem Fates1. Thank you all for coming.1. Fire Emblem Fates: The latest game in the Fire Emblem series. The release of this 15th instalment is planned for June 25th, 2015 in Japan, and in 2016 in other regions. 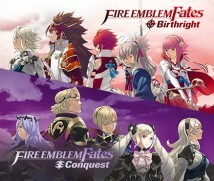 The game revolves around the keyword “Fates,” where the player must decide his or her character’s destiny by choosing between two families they love: the Hoshido and the Nohr. By choosing a side, the player will experience a different story, maps and allies. 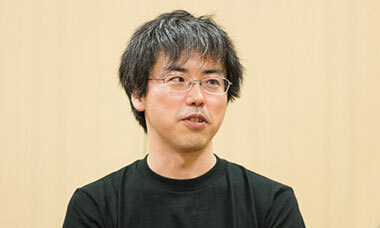 Maeda-san, you’re the only one wearing a t-shirt that says “Reset? Bring it on!”2. Is this in response to Splatoon3? (laughs)2. “Reset? Bring it on!” t-shirt: This t-shirt was made by the development team, and there are currently no plans to make it commercially available.3. Splatoon: An action-shooting game released for Wii U in May 2015. 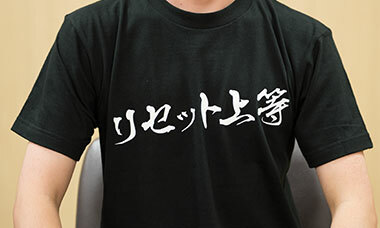 The staff all wore matching t-shirts during their interview with Mr. Iwata in their session of Iwata Asks. For details, see Iwata Asks: Splatoon. Fire Emblem is a series that really showcases the spirit of “Reset? Bring it on!”4. 4. A series that really showcases the spirit of “Reset? Bring it on!”: A unique rule in Fire Emblem is that a character who falls in battle is permanently lost. In order to get around this, many players reset the game and start again when they lose a companion in battle. This method of play has been a big topic of conversation among players ever since the first game in the series debuted (Japan-only release, NES, 1990). The development team has debated this playing method many times in the past, and to counteract it, introduced Casual Mode, where units remain playable in the next map even after they are defeated. This started with the 13thgame in the series, Fire Emblem: Shin Monshō no Nazo: Hikari to Kage no Eiyū (Japan-only release, Nintendo DS, 2010). Now let’s begin with introductions. I’m Masahiro Higuchi from Intelligent Systems Co., Ltd5. On the last game, Awakening6, I acted as project manager, but this time I was involved in development as a producer. 5. INTELLIGENT SYSTEMS CO., LTD: A company which creates development support tools and Nintendo games, such as the Fire Emblem series, the Paper Mario series and the WarioWare series. The office is based in Kyoto.6. Awakening: Fire Emblem: Awakening. The 14thinstalment of the RPG simulation game, first released in Japan for Nintendo 3DS during April 2012, and for Europe during April 2013. Was this your first time as producer? Yes it was. Although I’ve worked mostly on the Fire Emblem series since I joined the company. You’ve been focusing on Fire Emblem, and you finally became a producer? But what I’m actually doing isn’t that different from what I did when I was Project Manager. The only thing that really changed is my anxiety level. So your title and anxiety level changed. I’m Kouhei Maeda from Intelligent Systems Co., Ltd. I was the director on this project. I was director for Awakening, too, but this is the first time I made three games at once7.7. Three games at once: This refers to each of the three storylines. One occurs when you side with Hoshido, another if you side with Nohr, and in the third path that is still being developed you continue your journey without choosing either side. You really did make three games. It seems like it would be an incredible challenge to make three games at once, and I’ll be asking you about it later, but for now, do you have any regrets? Do you wish you hadn’t said you would do three? No, I definitely wanted to make them all. Well, so much care went into the creation of the setting, I’m sure you always knew you had more stories to bring to life. And Kibayashi-san, it’s so nice to meet you. Yes. I’m Shin Kibayashi8, and I was in charge of the story. 8. Shin Kibayashi: Former editor for the Japanese Weekly Shonen Magazine (Kodansha), he currently works as a manga writer and novelist. He is known for always wearing sunglasses and a hat. Writing under several pen names, he has worked in various forms of media. 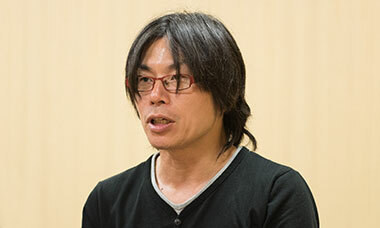 He has written the stories for several manga series, such as Kindaichi Case Files, Psychometrer Eiji, GetBackers, Detective School Q, Kami no Shizuku, The Knight in the Area, and Bloody Monday. 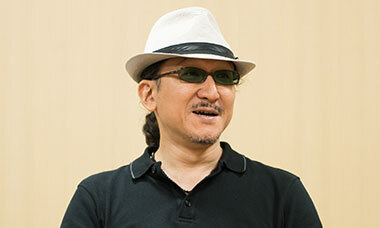 He has also written novels such as Bit Trader and Hi no Tori, and worked on various TV shows such as HERO (Fuji TV). 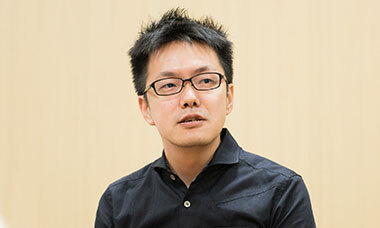 He was in charge of creating the story concept for Fire Emblem Fates. While I’m sure many people know of your work as a manga storywriter and screenwriter, there may be people who haven’t connected your name with your various projects. Would you mind giving a brief explanation of your past work? Certainly. I started off as an editor, and spent a long time at a publisher. After I went out on my own, I wrote the stories for manga. Examples include Kindaichi Case Files9, Pyschometrer10, and GetBackers11. I also wrote the story and did the editing for the wine manga Kami no Shizuku12. 9. Kindaichi Case Files: A Japanese mystery manga series that began serialisation in Weekly Shonen Magazine (Kodansha) in 1992. It revolves around Hajime Kindaichi, , a high-school student with a genius IQ of 180, who solves cases with his childhood friend Miyuki Nanase using the amazing deductive skills he inherited from his grandfather, the famous detective Kosuke Kindaichi. A precursor to the mystery manga boom, the series was adapted into both a TV and anime series, and a variety of other formats. Shin Kibayashi wrote the novelisation under the pen name Seimaru Amagi.10. Psychometrer: Psychometrer Eiji, a Japanese manga series that began serialisation in Weekly Shonen Magazine in 1996. In this mystery series, Eiji Asuma, a teenager with the psychometric power to touch objects and people and decipher fragments of the memories retained inside, works with police detective Ryoko Shima to solve mysterious incidents. Adapted into a TV series twice, once in 1997 and once in 1999 (Nihon TV). The Psychometrer Eiji manga series ended in 2000, but the series has been renewed under the title of Psychometrer in Weekly Young Magazine. On hiatus as of the time of writing (June 2015).11. GetBackers: A Japanese fantasy manga series serialised in Weekly Shonen Magazine, which ran from 1999 to 2007. The series, set in Ura-Shinjuku, tells the story of the activities and battles of Ban Midou and Ginji Amano, a duo which works as GetBackers to return stolen items to clients. The anime series ran on the Japanese TV station TBS from 2002 to 2003.12. Kami no Shizuku: A Japanese manga series that began serialisation in Morning (Kodansha) in 2004, which tells the story of the search for a wine called “kami no shizuku” (the droplets of god). The series went on hiatus in 2014, but a sequel, “Marriage ~Kami no Shizuku ~ Saishusho”, began running in May 2015. Made into a TV series for Nihon TV in 2009. You’ve also done TV work as well, right? That’s right. I’ve also worked on movies and TV projects, such as HERO13, a TV series starring Takuya Kimura. I’ve also written several novels, such as Bit Trader14 and Hi no Tori15. I’m also writing a serial called Doctor White16, for Kadokawa Shoten’s Yasei Jidai, which hasn’t been compiled into a novel yet. 13. HERO: A Japanese TV series that ran in 2001 (series 1) and 2014 (series 2). The series follows Kuriu, played by Takuya Kimura, and his unorthodox prosecution techniques, along with the often comedic adventures of his fellow prosecutors.14. Bit Trader: A Japanese novel published by Gentosha in 2007. It tackles the theme of economic crime, following a stock trader who has hit rock bottom in both his life and his finances.15. Hi no Tori: A Japanese novel published by Kodansha in 2011. A medical entertainment novel which tackles clone technology, the biggest taboo in biological science, following a primate clone researcher’s bioethics and family relationships. 16. Doctor White: Shin Kibayashi’s serial, published in Japan, which is being published in the Kadokawa Corporation’s entertainment novel magazine, Shosetsu Yasei Jidai. I’ve also done some work for the stage. I was in charge of the story for a kabuki17 show called Ishikawa Goemon18 with Ebizo Ichikawa-san19. My job is basically thinking up stories.17. Kabuki: A traditional Japanese drama comprised of song and dance. It is often known for the performers’ elaborate, bold make-up.18. Ishikawa Goemon: A kabuki play performed at Shinbashi Enbujo Theatre, Japan, in August 2009. Shin Kibayashi created the story, and with Ichikawa Ebizo in the starring role, they told Ishikawa Goemon from a new perspective. In January 2015, a new version, with more of Ishikawa Goemon’s adventure, was performed.19. Ebizo Ichikawa: The 11th Ebizo Ichikawa. A Japanese kabuki actor who also works as a TV and stage actor. You’ve created stories for various types of entertainment in various media. That’s right. The medium may be different, but storytelling doesn’t change. How about when it comes to games? I’ve done a bit of game work, like a little bit at a time on several projects. But this was the first time I’d ever really done in-depth work creating a story like this. I’m fascinated to hear your feelings about writing a story for a game, given all of the genres you’ve worked with. I’d like to ask you about that a bit later. I’m Genki Yokota. I acted as the Nintendo-side director on this game as well as Awakening. The output ended up coinciding with Xenoblade Chronicles X 20.20. Xenoblade Chronicles X: An RPG released in Japan for Wii U in April 2015, and set for a European release in December 2015. Yokota worked as Director. That’s right. It was a bit tough, but I enjoyed the development. Did the fact that your previous game Awakening had such positive reviews help to build a good mood for this development? Yes, the mood was pretty good. We did get some tough feedback, too, so we tried to take that to heart, and Maeda-san and we had challenges to overcome along the way as we made this game. 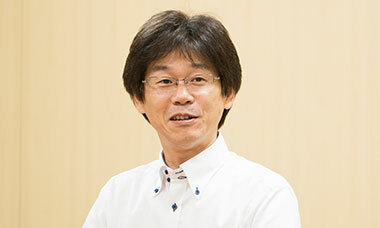 I’m Hitoshi Yamagami, a Nintendo producer. We haven’t seen you here at Iwata Asks for a while21, Yamagami-san.21. For a while: The last time that Yamagami appeared in an Iwata Asks interview was in August 2013, in Iwata Asks: The Wonderful 101: Development Staff. Yamagami has also appeared in Iwata Asks: Nintendo presents: Style Boutique, Iwata Asks: Sin & Punishment: Successor of the Skies, Iwata Asks: Xenoblade Chronicles Vol. 3: The Development Process, Iwata Asks: Pandora’s Tower, Iwata Asks: Fire Emblem: Awakening, Iwata Asks: Nintendo presents: New Style Boutique. That’s right. We’ve got so much wonderful young talent, so I figured it was time for me to take a step back. But with “Fates”, I gave my opinions on things that became the basis for the game, so I figured I should come back on board. Right. I’d like to begin with just how Kibayashi-san came to be involved in the story. How did you decide on him? My impression is that he is one of the busier writers doing screenplay work. That’s true. Now, where should we begin? I think we could start with talking about how the storyline for Awakening got criticised.